Thank you so much for making it possible for the inmates at our local prison to praise God to an even higher level. The drums have been delivered and are being used daily. God Bless You! 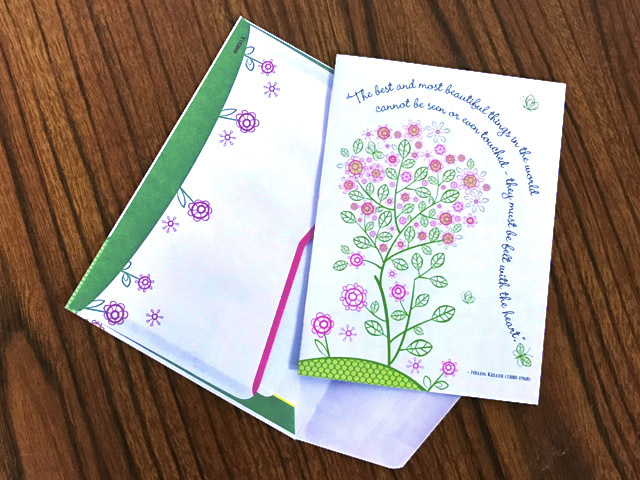 Enclosed is a Thank You card from the ISCC Prison Chapel. They are truly appreciative & so am I. “We don’t know much about you, and you don’t know much about us; But your willingness to give, to be used by God, and to answer the call of our prayers to God is a big Blessing. As much as you have blessed us our Prayer is that God triples Yours. Thank You soooo much. The effects of your Generosity will be felt for time to come by all who hear the worship and are touched by God.